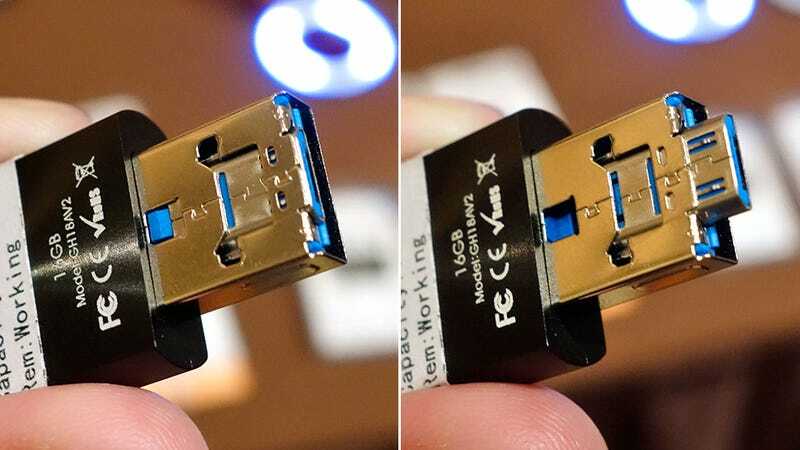 It turns out there are still some ways to improve a USB flash drive that don't involve just cramming more storage inside. The iStick Pro, coming sometime in March of this year, features a Lightning connector on one end for attaching to iOS devices, and a wonderful transforming USB/microUSB connector on the other making it also compatible with laptops and Android devices. There's no pricing details yet, but when available the iStick Pro will come in 16, 32, 64, and 128GB capacities. And the accompanying app, required for doing file transfers or remotely viewing media on iOS devices, will of course be free. You'll just have to settle for being taken out of the standard iOS environment when dealing with your files on the drive—a minor trade off.